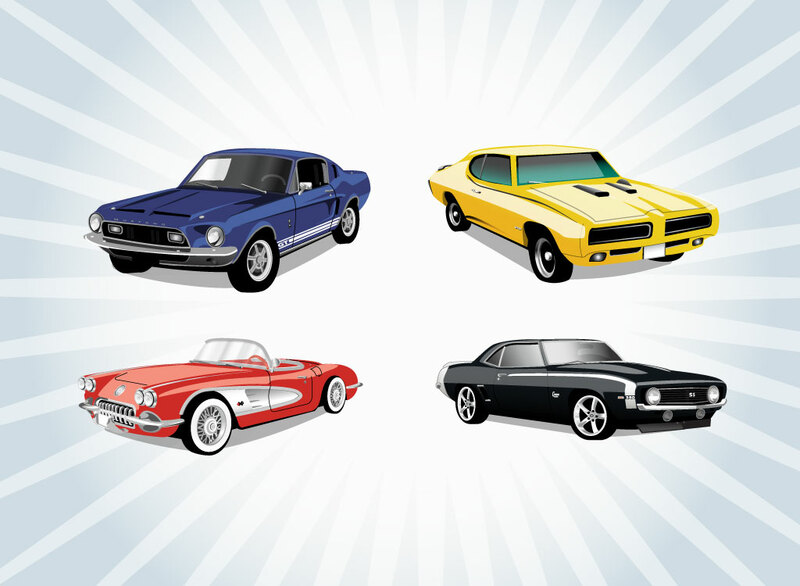 Four American muscle cars come in this free vector download. Features a Ford GT Mustang, Pontiac GTO, Chevy Corvette and Camaro SS. Iconic automobile graphics in high detail and bright color schemes. Perfect high-performance automobiles and street rods for your project car website or blog and speed themed designs. Tags: Camaro, Chevy, Corvette, Drive, Gto, Mustang, Pontiac, Race, Racing, Speed.